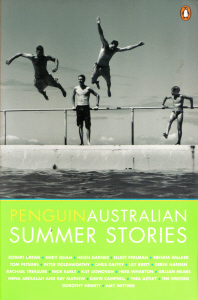 Sand between the toes, soft-serve ice-cream, the scent of baby oil, and the stillness before a thunderstorm - summer's here.Twenty-one dazzling stories for summer reading by some of Australia's best-loved writers and hottest new voices, evoking the languorous days, restless nights and indelible memories of summers past and present. What rubbish. Don't be fooled! The blurb promises lovely things and instead you get depressive, introspective, suicidal navel-gazing. This is going in the bin.